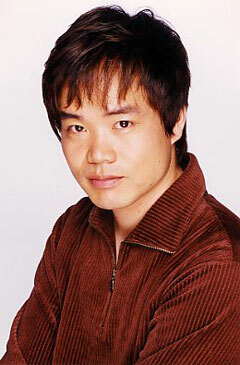 Some of Nobuyuki Hiyama’s more notable roles have been in Bleach and various Gundam series. 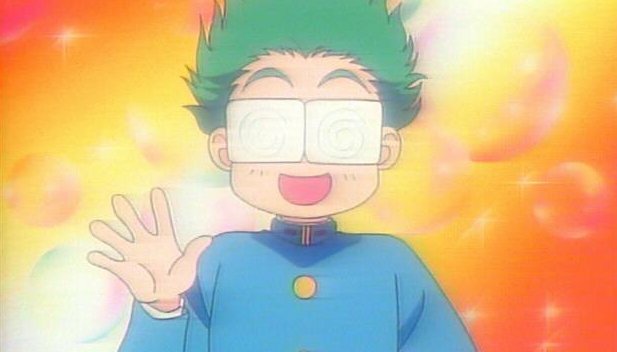 Moon Chase readers may have also noticed that he appeared in Sailor Moon S episode 112 as Yosaku Eda, in SuperS episode 137 as Tsunawataro, and in the Ami’s First Love special as Mercurius.A full list of his roles is available on ANN here. When Gundam started many years ago, he played Shiro Amada in The 08th MS Team. The character is suspected of being a traitor due to a relationship with a woman in an opposing army. 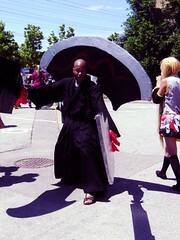 In Bleach, he primarily played Madarame Ikkaku, which he described as a death god (Shinigami). He said he doesn’t really understand the whole world view of Bleach just yet. For readers unfamiliar with the role, Madarame Ikkaku is a character who greatly enjoys fighting and likes to drag out the “fun” of fighting. 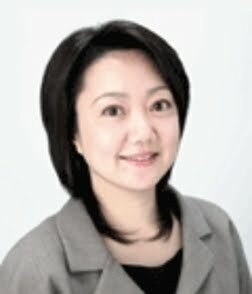 In high school, Hiyama did announcements and radio dramas. During the radio drams, he found he could play a much larger range or variety of characters because it was only based on his voice and he could alter that. This led to his voice acting career later. Although he will play any type of character and likes all kinds, he mostly likes playing the “cool” guys who are quiet but can be funny. He also said that he enjoys characters that have a wider range the most. When asked about his opinion of English dubbed anime, he said he hasn’t seen any yet but would like to see what they’re like. Hiyama regularly holds the talk show Omaera No Tamedaro (available on DVD) with fellow voice actor Toshiyuki Morikawa. He said this is much different from being a voice actor and that it is more focused on personal lives. It is taped live, so he finds the spontaneity fun and attractive. He also participates in the Radio Animage talk show. It’s not about anime or characters, so listeners get to hear his thoughts and views. However, radio is more limited and regulated. 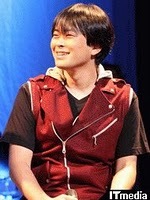 As far as other work is concerned, Hiyama has also been singing for quite a while. He is happy to work in different genres, but voice acting is most important. When it comes to his music career, he admits that he never studied music, he can’t play any instruments, and he can’t read sheet music. He was given the opportunity to sing because of voice acting. He said that he doesn’t consider himself a “professional” singer so much, but rather an actor who sings. When it comes to song choice, it depends on the type of song he is singing. For character songs, they are sometimes sung in the voice of the character or with the image of the character in mind. However, when he sings under his own name, he does get to choose songs. 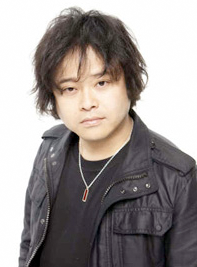 As Hiyama is a fan of Japanese history, he was asked about the possibility of having a role in Sengoku Basara. He said that he doesn’t often get to play similar types of roles so he doesn’t think it’s possible. When it comes to watching anime, he doesn’t get to watch much. Sometimes he will watch shows he has been in to check if he did well. He generally buys DVDs and Blu-Ray discs of shows he liked when he was younger, but even those he doesn’t tend to watch much. So the amount he owns and the amount he watches are unequal. Stay tuned for more Anime North convention coverage! There’s still more to come!